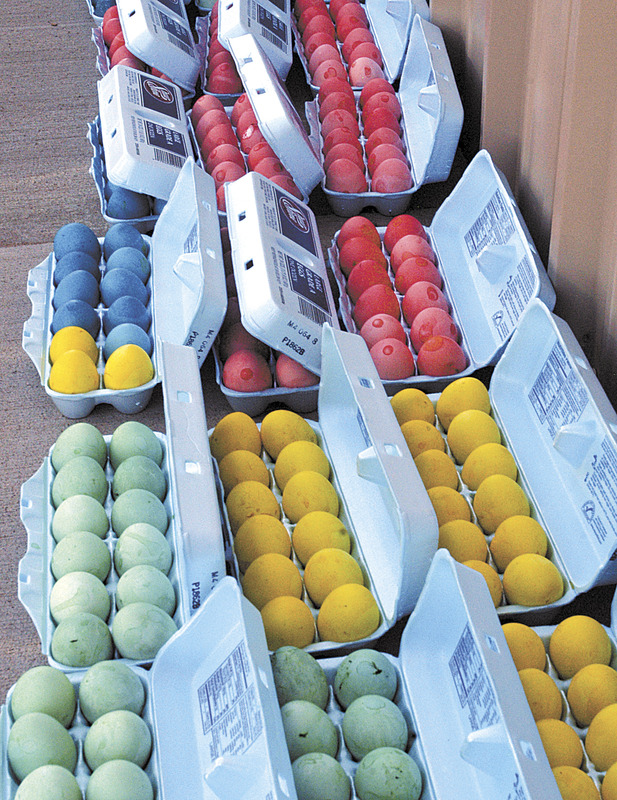 EASTER AT THE BUTTE – Many people came together on Friday, April 6, to boil and color eggs in preparation for Saturday morning’s Easter egg hunt at Elephant Butte Lake State Park. Camp hosts, Friends of Elephant Butte Lake State Park, firefighters, volunteers and their children worked together for several hours, beginning at 9 a.m. In all, the group boiled and colored 2,300 eggs and prepared another 2,000 eggs.